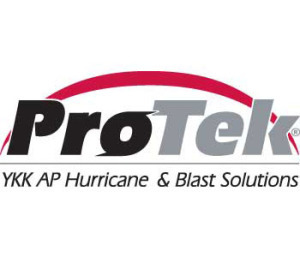 ProTek blast mitigation systems are a comprehensive suite of products that improve safety and security from many hazards, including hurricanes, blast events and break-ins. These products are designed and fully tested to meet the hurricane impact requirements of the International Building Code, blast standards for the Department of Defense (DoD) and the General Services Administration (GSA). There’s a fine line between environmentally friendly and environmentally intelligent. 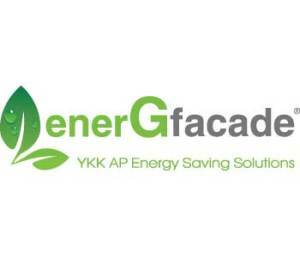 YKK AP’s unique enerGfacade® product line provides both ecologically sustainable and economically sensible solutions for the entire building envelope. By offering superior insulation properties in a complete suite of thermally broken products, enerGfacade simplifies your search for the right products to meet your building system goals. Conventional anodized aluminum finishes are known for their beauty and availability. To help provide protection for the conventional anodized finish, the porous anodic film is subjected to a hot water or steam sealing process; however, aqueous seals cannot completely close every pore of the anodic layer. A key component to thermally broken storefront systems by YKK AP are the 6/6 nylon polyamide glass fiber reinforced pressure extruded bars that join two separate extrusions into one thermally broken frame. The MegaTherm aluminum framing storefront system offers unmatched performance and durability by saving energy and reducing condensation. Aluminum fenestration products have employed a process known as Pour & DeBridge for many years to improve their thermal performance. The process involves filling a channel in the aluminum extrusion with a polyurethane material and then removing the bottom of the channel thereby isolating the aluminum on exterior from the aluminum interior of the glazing system. Architects, builders and developers of commercial buildings are embracing “green” design— energy efficient best practices for design and construction that significantly reduce or eliminate the negative effects of buildings on the environment and occupants.